For food manufacturing plants and laboratories, nitrogen gas is often an essential part of getting business done. Whether you need pure nitrogen gas or a precise blend to accomplish your work, Josefgas delivers consistent quality and the level of service that only a family-owned, locally operated industrial gas supplier can offer. For food processing plantsusing modified atmosphere packaging (MAP) for consistency and appealing appearance, nitrogen gas is invaluable. It’s used to pressurize packaging to protect delicate food like crackers or potato chips from crush damage in shipping. 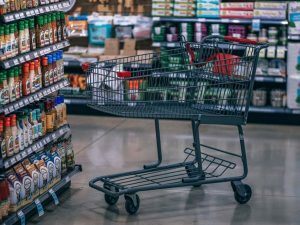 It’s also used to preserve volatile oils in foods like coffee, so it maintains its aroma, and it prevents the growth of aerobic bacteria by flushing the oxygen out of the packaging. For cryogenic laboratories, nitrogen gas helps freeze and preserve tissue. It’s also commonly used to render combustible and flammable substances inert, and to strip oxygen, moisture, and soluble contaminants from fluid samples. If your lab uses cold traps or gas adsorption testing on a regular basis, you’re already aware that having a reliable source of nitrogen gas is non-negotiable. Facilities that run superconducting equipment like Nuclear Magnetic Resonance (NMR) spectroscopes or Magnetic Resonance Imaging (MRI) machines also have a regular demand for nitrogen gas. Why Work With A Local Supplier For Nitrogen Gas In The GTA? 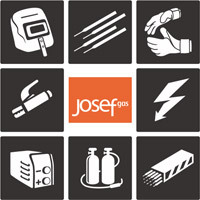 JosefGas has more than 40 years’ experience providing industrial gases to businesses in the greater Toronto area. We’ve built long-term relationships with our suppliers and our long-standing contracts ensure that we have access to dependable supplies of the gases you need, and we’re able to offer your fair prices. Our state-of-the-art facility in Concord is able to create the precise gas blends our customers need, and replicate them exactly the next time they order. Because we own our own fleet of delivery trucks, and operate locally, we’re able to give our customers individualized service and more flexible options than many competitors. Give us a call or contact us online, or feel free to stop by our facility to learn more about how JosefGas can keep your facility supplied with the industrial gases you need, when you need them, at prices that give you best value.